Hope y'all are enjoying this holiday weekend. I have another giveaway for you ~ this one is FUN! If you've got little ones in your life, you'll love it! If I say cloth diapers, do you get a mental image of white cloth diapers, big bulky pins, and stinky diaper pails? I used to think that too, until my friend Gaye & her daughter Elysabeth showed me the awesome cloth diapers Elysabeth sells through her company BumLuv Cloth Diapers. Elysabeth is a mom of two, and both her kids use these adorable cloth diapers. I had no idea how far cloth diapering had come in the last 20 years. These are size adjustable so you don't have to buy them for every age. They grow with your baby! Disposable diapers are the 3rd largest one-time-use item in our garbage. Many disposable diapers contain harmful chemicals, such as Sodium Polyacrylate, which was banned from tampon use for causing Toxic Shock Syndrome. Over the course of two years, your family could save over $2,000 by switching to cloth. You can save even more if you also use cloth wipes. Wash once on cold, once on hot. Tumble dry the inserts and wipes, Hang the pockets to dry. Done! 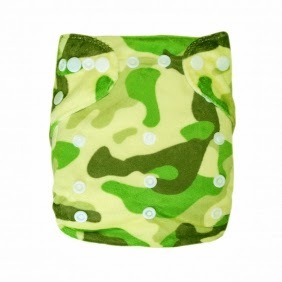 BumLuv diapers come in lots of colors and prints, sure to complement any outfit or personality! Now lets take a look at some of my favorites! These are really easy to care for, and if you can save that much money over two years, why wouldn't you?! If I still had little ones I would totally be using these! Now I'll just have to wait for grandbabies. I think I need to buy some to put away until that day comes! The bamboo diapers come with two inserts, and all others come with one insert. Elysabeth is going to give one lucky winner a diaper of their choice! All you have to do is enter through the rafflecopter widget below. And if you just can't wait to try BumLuv Cloth Diapers, she is offering a special to my readers ~ just mention JKAA and you will receive a free insert with any order! YAY! Thanks, Elysabeth!! Disclaimer: I am not receiving any compensation for this blog post. All opinions given are completely my own! BumLuv Cloth Diapers is providing the prize of one diaper to one of my readers! Plane trains and automoblies is so cute. The Antique Owl print is super cute! I like newborn in Baby Blue. I like the Pretty Paisley w/ 2 inserts bamboo diaper. Not trying to offend, of course. You can clearly see the Alva tag on the wing of the Antique Owl print diaper. I like the antique owl print. I like the Modern print. If I win, I would choose the Modern print. i love how cute they all are! I would like the Orange You Glad I Didn’t Say Banana? But they are all so nice. I'd want the Dino Mite Print. But they're all cute! The Antique Owl is my favorite! I love it! I'd either want the bamboo camo or the monster mash. So cute! I'd choose the blue and white star. Love the bamboo safari print. CUTE! antique owl is precious! This looks like a good product to me. 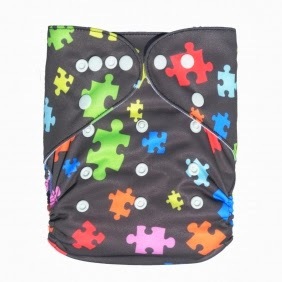 I really like the autism awareness diaper. OOoooohhh!! The Plane trains and automobile print is adorable. I love the Garden Party one size diaper.